He’d learned from her roommate that she was attending a speed dating event at the community center. He wished she had been more forthcoming with the information, he really kind of liked her and hated to have had to been so…insistent. Checking the list of scheduled meetings in the foyer, he bounded up the stairs to the second floor. The pistol, tucked in his waistband under the t-shirt of a long-haired David Gilmour concentrating on a guitar solo, jabbed his belly. Making his way down the hallway he imagined he could smell her vanilla scented perfume. Follow the scent, he thought. 224D, 224C, 224B…next room on the left. He burst through the door and unloaded the 9mm into a group of octogenarian quilters before realizing something was wrong. Returning to the hall, amid the screaming, running AA members and the terrified overeaters group, he spotted Jenny at the far end. Their eyes met briefly before she was swept along with the panicked throng. 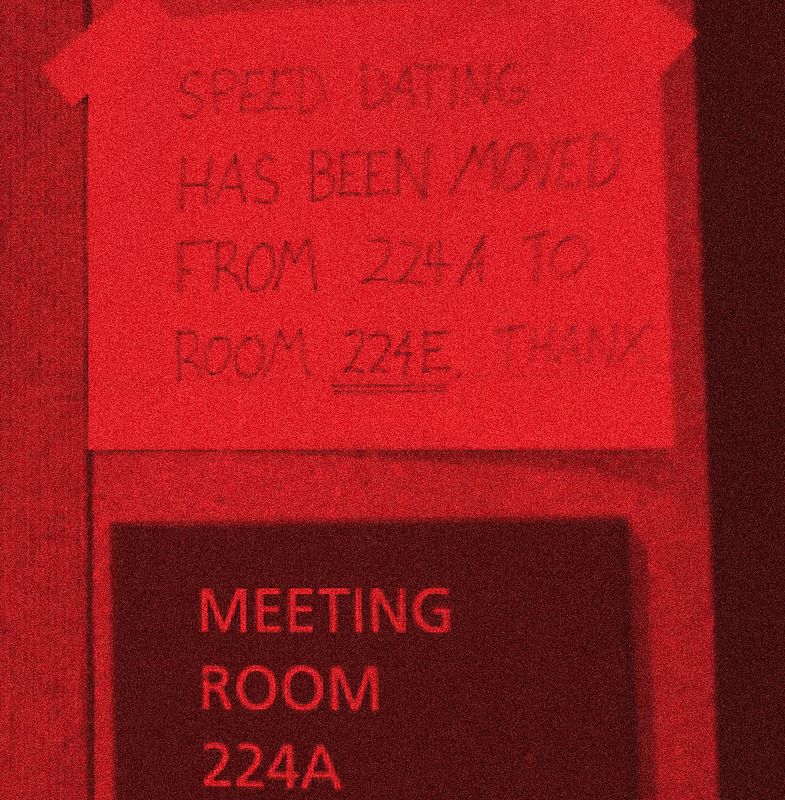 He noticed the sign, taped to the wall, informing those who paid attention that the speed dating had been moved. He dropped the gun to the floor and waited for the police, feeling oddly but comfortably numb.